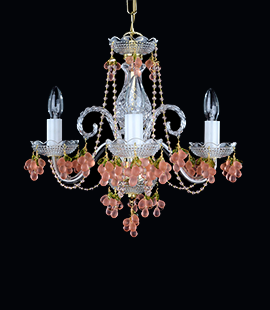 The design chandelier made of hand blown smooth glass. 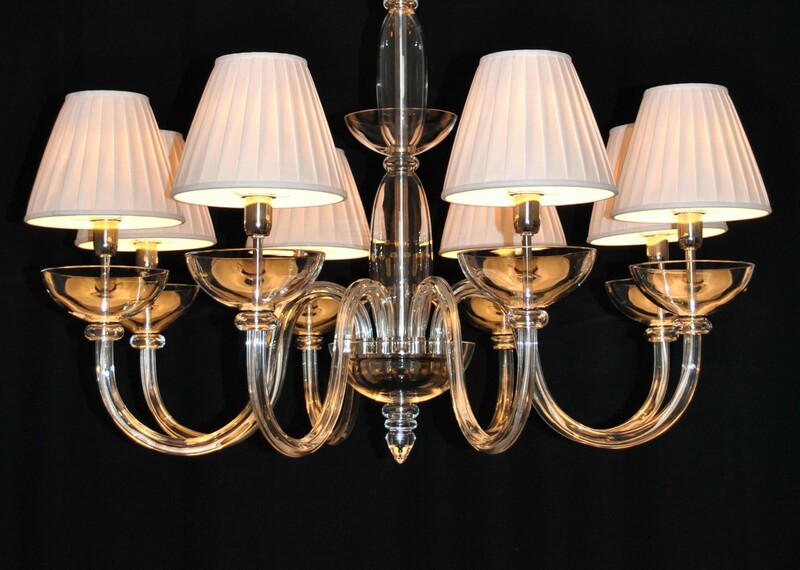 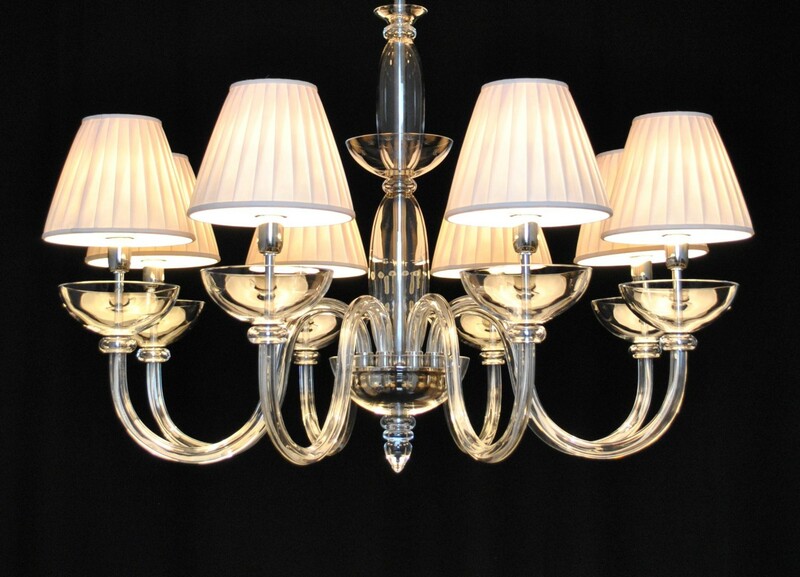 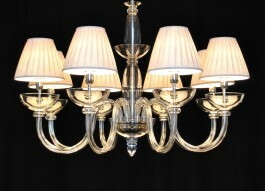 The smooth glass chandelier with lampshades. 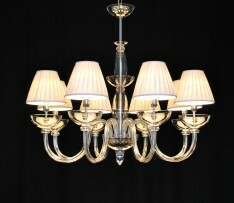 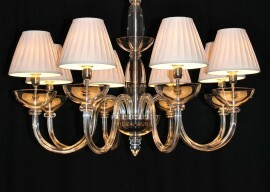 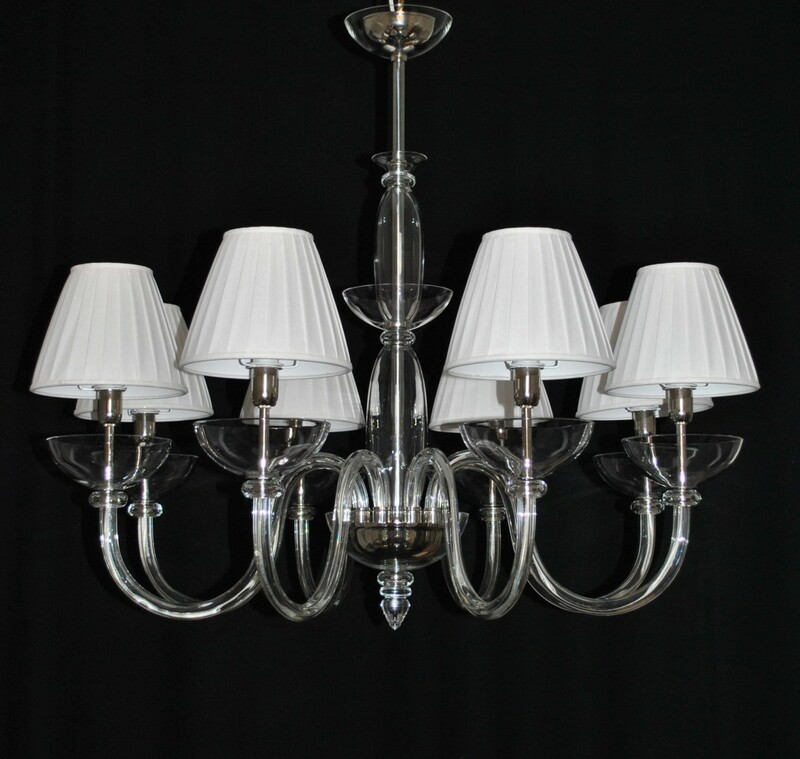 8 glass arms, 8 candle bulbs E-14, 40 Watts with the white textile lampshades. 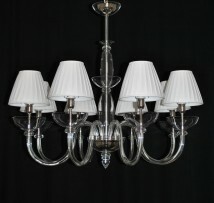 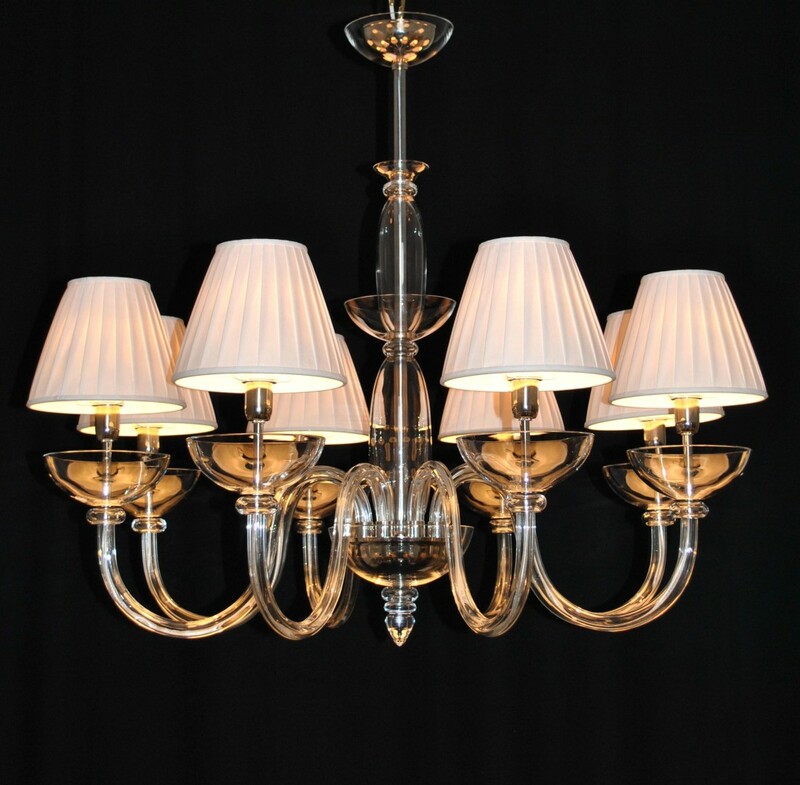 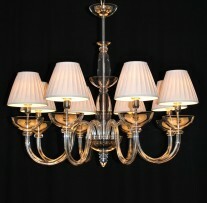 The chandelier comes with a blown glass cover of the ceiling rose.